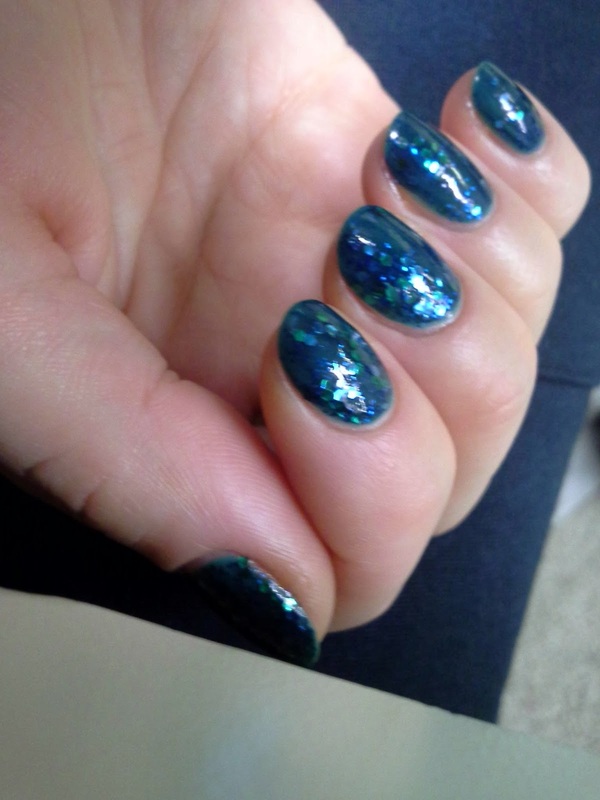 Today I had some extra time to coordinate my mani pedi to my outfit. 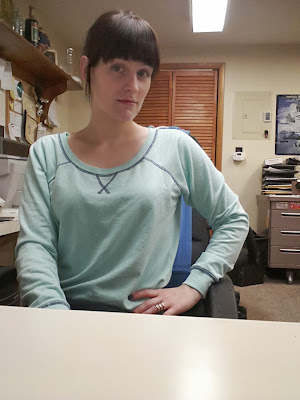 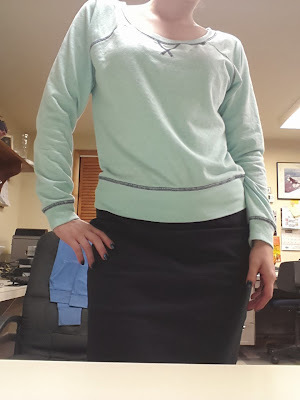 I wanted to try the whole j crew sweatshirt with a dressier outfit trend, so I picked up this super thin sweatshirt at the thrift store last week, and paired it with a navy pencil skirt. My pedi is sally hansen barracuda. 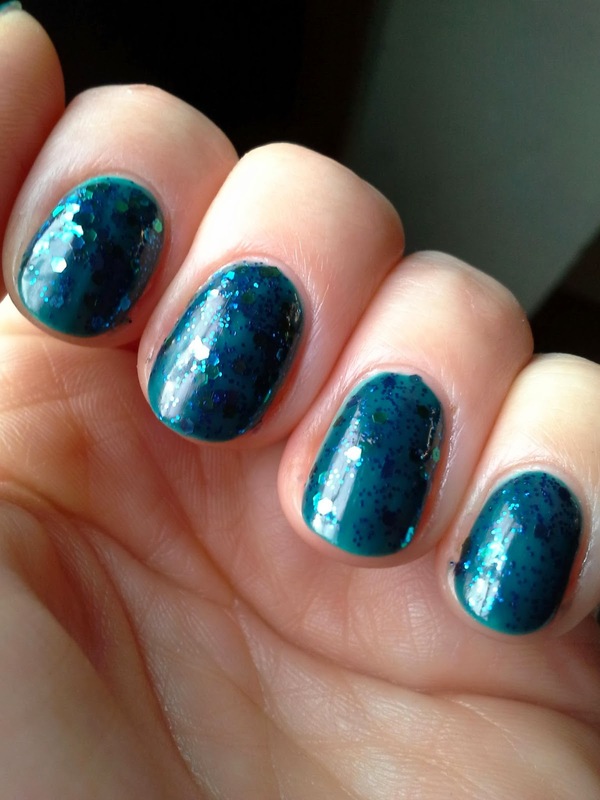 The mani is essie naughty nautical topped with sally hansen mermaid's tale.